Jennifer Lynn Lopez, also known by her nickname J.Lo, is an American actress, singer, record producer, dancer, television personality, fashion designer and television producer. Lopez ventured in the perfume industry with her debut "Glow by J.Lo". In October 2003, Lopez introduced a perfume called "Still", having revisited "Glow" the previous year by creating a limited edition spin-off, "Miami Glow by J.Lo", in homage to her adopted hometown of Miami, Florida. Lopez also marketed a "Glow" line of body lotions and bronzing products. 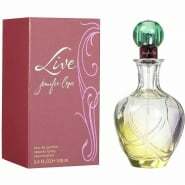 For the Christmas season of 2005, she launched another fragrance, "Live by Jennifer Lopez". For 2006 Valentine's Day, "Miami Glow" was replaced by yet another "Glow" spin-off, "Love at First Glow by J.Lo". Her following fragrance, "Live Luxe", was released in August 2006, with "Glow After Dark" following in January 2007. 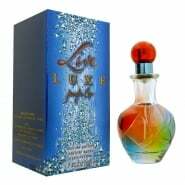 The next fragrances by Jennifer Lopez were "Deseo", "Deseo Forever" for Asian market and first fragrance for men called "Deseo for men". In February 2009 Lopez released "Sunkissed Glow". The last perfume is "My Glow", available from October 2009. Lopez is a spokesperson for Lux shampoo in Japan, appearing in the product's television commercials.